Occupational Therapists — Access Community Therapists Ltd. The occupational therapists at Access Community Therapists are registered with the College of Occupational Therapists of BC. Occupational therapy is a health care profession that involves working with people across the lifespan to help them do what they need or want to do. An occupational therapist's goal is to provide the client with skills to achieve independence, meaning and satisfaction in life. They often work to modify or adapt the environment to "fit" the person. Neeru graduated from the University of Alberta, with a Bachelor of Science in Occupational Therapy in 2005. Following completion of her degree she worked with geriatrics in a residential care setting. After this, she worked with adults in a community setting. Neeru moved to Vancouver, British Columbia in 2009 and has worked with diverse populations, including adults with developmental disabilities and acquired brain injury with Fraser Health and in a private setting. More recently, Neeru has begun working in the medical/legal arena doing Functional Capacity Evaluations and Life Care Planning. On her down time, Neeru enjoys reading, cooking, and exploring Vancouver. Lindsay graduated from UBC with a Bachelor of Science in Occupational Therapy in 1998. After a year of casual work on various programs at Vancouver General Hospital, she became employed at GF Strong Rehabilitation Centre where she has continued to work for the past 15 years, on the Inpatient Spinal Cord Program, Seating Services Program, and currently on both the Outpatient Spinal Cord Program and the SCI Wound Care Program. Lindsay worked part-time in a medical-legal and community capacity for 8 years, completing Cost of Future Care assessments and reports, and was qualified as an expert witness in OT in the Supreme Court of BC. In 2007, Lindsay was invited to Switzerland to meet with 34 other international, interdisciplinary delegates to participate in the Consensus Conference on the ICF Core Sets for Spinal Cord Injury (a W.H.O. project). The purpose was to agree on functional criteria relevant for spinal cord injury rehabilitation for inclusion in the ICF (International Classification of Function, Disability and Health). 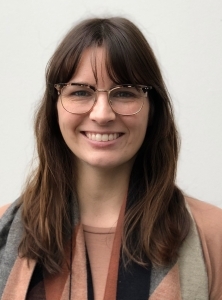 In 2011, Lindsay joined the Access team, working on the Wound Care Program and assessing and treating clients in the Lower Mainland and throughout BC to treat and prevent the pressure ulcers. Lindsay is a guest lecturer for the OT students at UBC, as well as teaching seating clinics and practical training to other OTs/PTs at GF Strong. Thea graduated from the UBC Master of Occupational Therapy program in 2012. Since becoming an OT, Thea has worked mainly in the field of Paediatrics. She began her career at the Williams Lake Child Development Center, and from there moved to Haida Gwaii where she worked for three years in the school district providing services to children with a wide variety of diagnosis from the ages of 5 to 18. During her time on Haida Gwaii, Thea advocated and created an Occupational Therapy position at the Hospital, where she worked in acute and long-term care. Thea also advocated to create an early intervention OT program for the hospitals on Haida Gwaii. Thea was successful and was able to provide services to children 0-5 in the communities. Over the years Thea has provided therapy to children and families with a wide variety of diagnosis including : Autism Spectrum Disorder, Cerebral Palsy, Down Syndrome, Fetal Alcohol Spectrum Disorder, Sensory Processing Disorder and a variety of mental health diagnosis. Thea is on the Registry of Autism Service Providers, and continues to seek opportunities to advance her skills in this area. Thea is passionate about working with families to provide collaborative family-centered OT support. Krista graduated from UBC, the Dean of Medicine Prize recipient, with a combined degree in occupational and physical therapy in 1981. She started her career in physiotherapy and occupational therapy working in pediatrics at Sunny Hill Health Centre and developed an immediate interest in the area of cerebral palsy and developmental disabilities. She moved on to the Muscular Dystrophy Association, BC Branch, as coordinator of client services and provided support to children and adults with neuromuscular disorders throughout the province. In 1990 she co-founded Access Community Therapists Ltd. with Jo-Anne Chisholm. During the formative years of the company, Krista developed a special interest in the area of dysphagia (eating and swallowing problems) particularly for people with developmental disabilities. 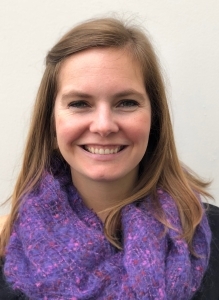 Krista is an educator in the area of dysphagia management; presenting at conferences; developing and presenting continuing education courses; and is a Clinical Assistant Professor in the Masters of OT program at UBC. She was a co-recipient of the "Outstanding Occupational Therapist of the Year" presented by the B.C. Society of Occupational Therapists. In addition to her clinical practice, Krista holds a strong management role in Access Community Therapists Ltd. Outside of the office; Krista enjoys family time, fresh air pursuits and reading as much as possible! Jo-Anne graduated from UBC with a combined degree in occupational and physical therapy in 1981, following up with a Masters in Science in rehabilitation in 1996. After a brief stint in the Yukon working as a physiotherapist, she embarked on her career in occupational therapy at the GF Strong Rehab Centre in Vancouver, working primarily with persons with spinal cord injury and igniting a lifelong passion for wheelchair seating and mobility. In 1990 she co-founded Access Community Therapists Ltd., and it was from this community therapy platform that she strengthened and consolidated her clinical and educational skills working with persons with a variety of physical disabilities always with a focus on technology to enhance independence and health. 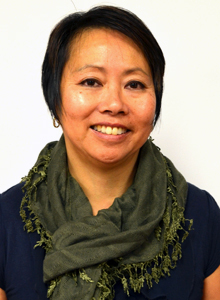 In addition to her clinical role, Jo-Anne is an educator; presenting at conferences; developing continuing education courses in wheelchair seating and pressure management; and is a Clinical Instructor in the Masters of OT program at UBC. Named British Columbia OT of the year in 2002, Jo-Anne is an enthusiastic proponent of occupational therapy and performs regulatory work for the College (COTBC). She is qualified as expert witness to the Queens Bench of Saskatchewan, and has advised in legal cases involving persons with physical disabilities. When not wearing her OT hat, Jo-Anne can be found trekking in out of the way places, following the adventures of her adult sons and paragliding husband or cycling trails with Tybalt the wonder dog. Debbie is an occupational therapist who has extensive experience in seating, mobility and other assistive technologies (i.e. for communication, learning, self-care, leisure, productivity and/or environmental control). She has worked with children, youth and adults with a variety of diagnoses, in a variety of settings in British Columbia, Ontario, Australia and the USA. 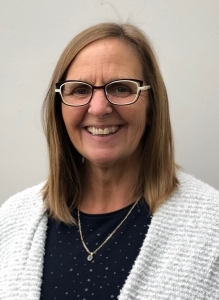 Debbie graduated with a BScOT from the University of Toronto in 1984, a MHScOT from the University of Indianapolis in 2000, and is currently working towards her PhD in the Graduate Programs in Rehabilitation Sciences at the University of British Columbia. Debbie enjoys assisting those she works with to realize their goals for living, often integrating low tech and high tech equipment, modifying their living environment(s), training specific skills and providing education and support. Carley graduated from Dalhousie University in Halifax, with a Bachelor of Science in Occupational Therapy in 2006. Following completion of her degree she moved back to her roots in BC to work in pediatrics in Kamloops. Carley has since worked in a number of settings with diverse populations, including acute care and rehab at Nanaimo General Hospital, pediatrics and acute care in the Yukon, and more recently in acquired brain injury and spinal cord injury at GF Strong Rehabilitation Centre in Vancouver. Carley is passionate about the outdoors where her play involves mountain biking, backcountry skiing, scuba diving and sailing. 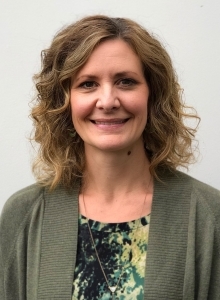 Jen completed her Bachelor of Science in Occupational Therapy in 2000 at UBC and also holds a Masters of Applied Arts in Design from Emily Carr University in 2009. Jen began her OT career working in acute care, moving onto school aged therapy, and then to Sunny Hill Health Centre in the areas of complex pediatric seating and mobility, eating, drinking and swallowing skills and acute rehabilitation. Jen has also provided direct therapy treatment with children and youth with a variety of diagnoses. Her work with Access Therapists includes complex wheelchair seating and mobility consultation with adult clients with a variety of needs and conditions including developmental disabilities and other neurological conditions. Jen has a passion for universal design, medical assistive design, technology and children's play spaces. She was privileged to design a sensory wall for inclusive playground for the 2010 Olympics in Whistler and has designed a small outdoor play area as a public art project in North Vancouver. Jen also likes to ride her bike everywhere and spend time in the outdoors with her young family. 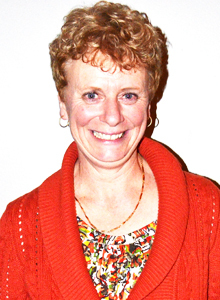 Diane completed her Bachelor of Science in Rehabilitation Medicine (OT/PT) in 1983 at U.B.C. After graduation she worked as a PT at the Queen Alexandra Hospital for Children in Victoria and then returned to Vancouver to work as an OT/PT at SunnyHill Hospital providing direct treatment to children and youth with diverse developmental and neurological needs. Following a couple of years as the Director of Client Care for the Muscular Dystrophy Association in B.C., Diane returned to her passion of supporting clients with direct therapy treatment and started in OT private practice with Access. Her primary work is maximizing the occupational performance of children, youth and adults with sensory-motor, regulatory, cognitive, and social-emotional challenges to reach their goals at home and in their school/work and community pursuits. In doing this, Diane sees clients with learning disabilities, regulatory and attention disorders, autism spectrum disorder, acquired brain injuries and developmental disabilities. Diane and her husband have raised four young adults and enjoy spending time with them hiking and camping in the great outdoors. Gloria graduated from UBC's School of Rehabilitation Medicine in 1982 with a combined degree in Occupational and Physiotherapy. She took her very first job at the Fort St. John Child Development Center where she worked as a sole charge OT and was often able to assess children in their own homes. This role sparked a life-long interest in working within the community setting, supporting individuals across a wide age and disability spectrum. Upon returning to Vancouver, Gloria worked at Sunnyhill Hospital for Children and over the last decade has also kept a small but busy paediatric practice. Working with the Access team since 1993, a central role has involved supporting individuals with developmental disabilities to reach their full potential within the community setting. Gloria's role has included a range of services such as equipment prescription, wheelchair seating, movement and exercise programs, and caregiver training. Gloria has pursued a special interest in supporting people who have eating and swallowing problems. She provides outreach dysphagia services to outlying areas of British Columbia and is part of the Access Dysphagia Team. More recently her community based practice has also branched out to support adults with workplace and vehicular injuries. An accomplished sailor and skier, Gloria has sailed the BC coast and across the Pacific Ocean with her family. Louise graduated in 1986 from the University of British Columbia with a Bachelor of Science degree in Occupational Therapy. In the many years since graduating, she has developed a wealth of experience working in in a broad range of physical medicine settings from acute care medical/surgical to community home care, from residential care and geriatrics (day hospital and inpatients) to out-patients post-operative and arthritis splinting. Louise has sub-contracted to Access Community Therapists Ltd. since 2005 working primarily with individuals with developmental disability living in the community, serving their primary rehabilitation needs as well as providing specialized services for individuals with swallowing dysfunction. She works in the South and Upper Fraser Valley, from Ladner to Chilliwack. Louise swam in the Paralympics in 1988 in Seoul, Korea where she met her husband and continues to enjoy swimming, skiing, and wheelchair basketball with her husband and three daughters. 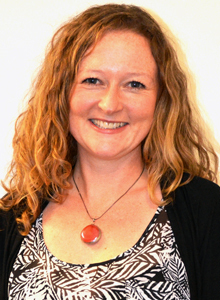 Cheryl completed her Master degree in Occupational Therapy at the University of British Columbia in 2009. Prior to this, she completed a Bachelor of Arts degree in Sociology with a minor in Health and Society at UBC. Following graduation, Cheryl worked in School Age Therapy, where she provided community based assessment, treatment and consultation to children with a variety of needs. 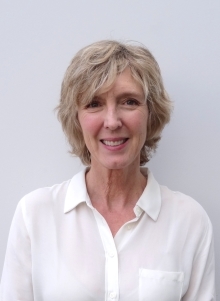 Since joining Access Community Therapists Ltd, Cheryl has worked with adult clients with a variety of needs and conditions including, developmental disabilities, spinal cord injury, severe brain injury and other neurological conditions. Her work involves general community based rehabilitation and equipment prescription and she also provides complex wheelchair seating and mobility consultation. Cheryl has presented at the International Seating Symposium in Vancouver and has been providing education in wheelchair seating in the lower mainland for the past few years. She has a passion for wheelchair seating and assistive technology and has developed a seating blog called Cheryl's Seating Notes. Outside of the wheelchair and seating world, Cheryl spends her time with her family and young son, walking her dog, traveling, skiing and kayaking. 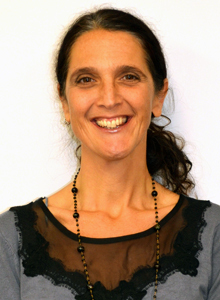 Carolyn has been an enthusiastic practitioner of occupational therapy since graduating from the University of Toronto with a Bachelors of Medicine in OT in 2001, preceded by a BA in sociology. She has worked with adults and seniors in a variety of settings from acute to residential and for the past 14 years in community home health. Carolyn is especially passionate about supporting adults with Developmental Disabilities to live healthy, productive lives in community and is skilled in caregiver education, accessibility consultation and assistive technology provision. Her breadth of experience is an asset in helping to safely return injured individuals back to their valued occupations. Carolyn enjoys spending as much time as possible outdoors, on trails or at the beach, with her husband, three boys and their dog, Rosie. Evan completed his master's degree in Occupational Therapy in 2009 at the University of Manitoba. Following graduation Evan worked at the Health Sciences Centre in Winnipeg Manitoba later moving to New Westminster in 2010 where he worked in acute care, general rehab, and wheelchair seating. Due to his interest in wheelchair seating, Evan joined the Access team in 2014. Since joining Access Community Therapists, Evan has worked with adult clients with developmental disabilities, spinal cord injuries, and workplace injuries. Evan also completed his Bachelor's degree in Kinesiology majoring in Adapted Physical Activity and Fitness and Lifestyle in 2007. Following the completion of this degree he became a Certified Exercise Physiologist and worked as an Exercise Therapist. 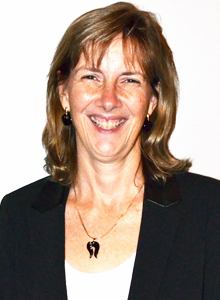 Susan completed her Bachelor of Science degree in Occupational Therapy at the University of British Columbia in 1989. 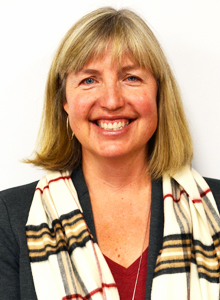 Following graduation, Susan worked in Paediatric Therapy in both Victoria and Vancouver, providing community based assessment, treatment and consultation to children with a variety of needs. Susan has worked internationally in both Saudi Arabia and the United States. Her work in Saudi Arabia provided a wonderful opportunity to work closely with children, families and adults within a different cultural context. For the past 10 years Susan has worked with adults with developmental disabilities, providing community based general rehabilitation services. These include equipment prescription, wheelchair seating and dysphagia and consultation to clients, their families, group home staff and day programs. 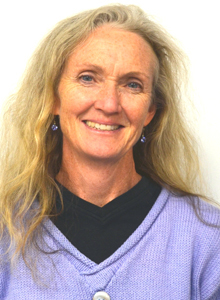 Susan has recently joined Access Community Therapists Ltd.
Francine received her BScOT degree in 1987 from UBC. She initially worked at Lions Gate Hospital. In 1990 she moved to Northern Ontario with her OT husband and two young daughters in an attempt to pay off their large student loans in an underserviced frigid environment. There she was exposed to the area of seating and mobility while she worked in community home health. In 1993 with student loans successfully paid off the family moved to London Ontario so her husband could continue his education in pursuit of his PhD. Francine was fortunate to work in the Seating Clinic at St. Joseph's Heath Centre in London where she cemented her passion for seating and participated in several research projects. She also participated in the Skin Health Group at St. Joseph's. In 2000 with one more daughter and a successfully graduated husband there was a move back to BC in search of family, friends, mild winters and work in the area of seating and mobility. She joined Access Community Therapists Ltd. working with adult clients with a variety of needs and conditions including, developmental disabilities, spinal cord injury, severe brain injury and other neurological conditions. Her work involves complex wheelchair seating and mobility consultation, skin health consultation as well as home and vehicle modifications. Francine works in the lower mainland, but also travels on outreach to Kelowna, Kamloops and the Kootenays. Francine has presented at CMSC, ISS and other conferences in the area of seating and positioning. In her spare time Francine loves to run in the park with her dog, garden and travel. Growing up in Gibraltar, Najade is fluent in English and Spanish. She completed her post graduate diploma of Occupational Therapy at the University of Essex, England in 1996. Prior to this she had completed a Bachelor of Arts degree in Psychology and Business Management at the University of Leeds. Najade's first OT experience was as part of a strong interdisciplinary team based in a child development centre in a high needs community in London where she gained valuable skills in assessment, treatment and consultation for children with complex physical, cognitive and social challenges. She continued working as a pediatric OT in Gibraltar where she oversaw the pediatric therapy program for this small nation. Since coming to Canada and joining Access Community Therapists Najade has not only continued her work in paediatrics but expanded her clinical role to include work with adults with developmental disabilities, brain injury, and other complex conditions. Her work involves community based rehabilitation including prescription of equipment to maximize independence with the aim of enabling the person to be as full a participant in his or her life as possible. Najade and her family have embraced the outdoor lifestyle of the West Coast, enjoying boating and skiing. Danielle graduated from the UBC Master of Occupational Therapy program and also holds a Bachelor of Education from SFU. Since becoming an OT in 2012, Danielle has worked across the spectrum of health care settings including acute care, residential care, rehabilitation and outpatient therapy. She has special interests in the areas of dysphagia management, wheelchair seating and wound care. Danielle is also a clinical faculty member with UBC. Prior to becoming an OT, Danielle's diverse background included working with people with developmental disabilities as a residential caregiver, day program manager, and special education teacher, and these experiences have enriched her OT practice. Danielle is creative and loves the problem solving aspects of her work, including creating client-centered solutions to meet individuals' needs. Danielle is thrilled to be working with Access Therapists doing the work she was meant to do. Danielle also enjoys yoga, pottery, sewing, knitting, gardening, canning and preserving the bounty of the season, and most of all, spending time with her husband and two young daughters. Bev earned a Master of Science in Occupational Therapy from McMaster University in 2012. She also received an Honours Bachelor of Science degree from the University of Waterloo in 1988 and a Master of Science degree from McMaster University in 1992. Prior to becoming an occupational therapist, her career path included research, teaching and administrative positions in both industrial and post-secondary academic settings. Inspired by her volunteer work with children and adult developmental services and her personal experience with occupational therapy services, Bev returned to McMaster University to study occupational therapy. Upon her graduation in 2012 she received the CanChild Research Convocation Award. Bev and her family moved to British Columbia in 2012. She is currently working with pediatric clients as well as adults with brain injuries. In her spare time she enjoys cooking, skiing at Grouse Mountain on sunny days, and reading, especially medical and rehabilitation journals. Erin graduate d from the University of Saskatchewan with a Bachelor in Science in 2003 and then the University of Alberta with a Masters in Science in Occupational Therapy in 2006. She relocated to Vancouver following completion of her OT degree to fulfill her passion of working in Spinal Cord Injury Rehabilitation. She then spent the next 5 years working at GF Strong Rehabilitation Centre, primarily in spinal cord injury but also in the wound clinic, spasticity clinic and in the adolescent and young adult program. While at GF Strong, Erin started working privately with lawyers and insurance companies, managing rehabilitation files and completing cost of future care reports since 2008. In 2012 she became a Canadian Certified Life Care planner. She has been accepted as an expert witness as an OT in the Supreme Court of BC. Erin has recently relocated to Kamloops with her new family and continues to work with Access consulting specifically for people with spinal cord injuries and wound prevention. She also has a diversified practice in the Kamloops area. Joanne graduated from the University of British Columbia in 1981 with a Bachelor of Science in Rehabilitation degree - a combined degree in occupational therapy and physical therapy. Joanne is an OT who works primarily with adults with a variety of needs and conditions including spinal cord injury, developmental disability, brain injury and other neurologic conditions. She is currently employed part time at GF Strong Rehab Centre on the Outpatient Spine Program as well as working part time with Access. She has a special interest in wheelchair seating and positioning and has worked for many years as a consultant in this area of practice. Along with her colleague, Jo-Anne Chisholm, she has developed a number of workshops on wheelchair seating and positioning and on pressure management; she presents regularly at conferences and teaches OT students yearly at UBC on the topic. Primarily based in the lower mainland she also travels on outreach to the Caribou region of British Columbia.